Angela Campbell has been appointed the first executive director for the Carnegie Mellon University Center for Student Diversity and Inclusion. Formerly, she was the assistant dean for the School of Education, assistant professor of education, and inaugural co-director of the Center for Urban Education Equity, and Improvement at Cabrini University in Radnor, Pennsylvania. Dr. Campbell earned her bachelor’s degree from LaSalle University in Philadelphia where she double majored in human communication and sociology. She earned a master’s in speech communication and rhetoric from University of Maryland at College Park and a Ph.D. in urban education from Temple University in Philadelphia. Brighid Dwyer has been selected as the new associate dean for diversity and inclusion at Princeton University. She was the director of the Program on Intergroup Relations at Villanova University in Pennsylvania. Dr. Dwyer holds a bachelor’s degree in sociology from the University of California, Los Angeles, and a master’s and doctoral degree from the Center for the Study of Higher and Postsecondary Education at the University of Michigan. Melissa Hodge-Penn has been named assistant vice chancellor for the Office of Research and Sponsored Programs at the University of Mississippi. She was the director of the Office of Research and Sponsored Projects in the College of Education and Human Development at Georgia State University in Atlanta. Hodge-Penn earned her bachelor’s degree from Grambling State University in Louisiana and her master’s degree from Liberty University in Lynchburg, Virginia. Sarah Kutten has been appointed director of student services at the University of Oregon. She was the assistant director of career management at Willamette University in Salem, Oregon, and contributing assistant professor at the university’s Atkinson Graduate School of Management. Kutten holds a bachelor’s degree in anthropology and cultural anthropology from Willamette University. She received a master’s degree in educational leadership and policy, student affairs in higher education from Portland State University where she is also a doctoral candidate in education leadership with a specialization in postsecondary education. Michael Davidson has been named director of the Bowman AHANA and Intercultural Center at Boston College. He has served as resident minister of Campus Ministry. Father Davidson has a bachelor’s degree in philosophy from Arrupe College in Zimbabwe, a bachelor’s degree in theology and a master of divinity degree from Regis College at the University of Toronto, and a master’s degree in educational administration from the Lynch School of Education at Boston College. Sterling Steward has been appointed director of intercollegiate athletics at the University of Alaska Fairbanks. He was the director of athletics at Savannah State University in Georgia. Steward holds bachelor’s and master’s degrees in human performance and recreation from the University of Southern Mississippi. Jackie Griffith has been named director of government and community relations at Delaware State University. She has been serving as chief of fiscal policy in the Office of the Controller General for the State of Delaware. In this position she provided guidance to the Delaware General Assembly concerning fiscal and policy matters. Griffith holds a bachelor’s degree in business administration management from Wesley College in Dover, Delaware. 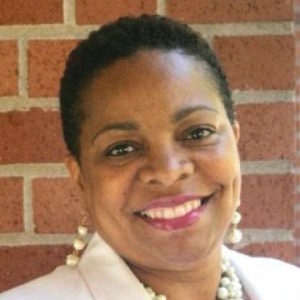 Sandye Wilson has been named chief operating officer at Saint Augustine’s University in Raleigh, North Carolina. She has served as a university chaplain, adjunct faculty member, and a member of the university’s board of trustees. Dr. Wilson holds a bachelor’s degree in economics, ethics, and German from Vassar College in Poughkeepsie, New York, a master of divinity degree from the Union Theological Seminary in New York, an MBA in church leadership, finance and administration and a doctorate of ministry in pastoral care and counseling from the Graduate Theological Foundation in South Bend, Indiana. 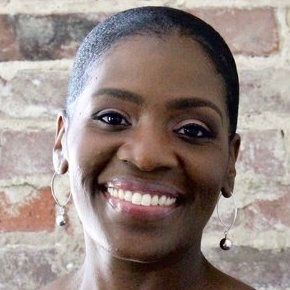 Tamika S. Edwards has been announced as the new executive director of the Social Justice Institute at Philander Smith College in Little Rock, Arkansas. She was the director of governmental affairs at Arkansas Advocates for Children and Families. 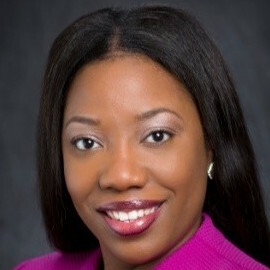 DeShanna Brown has been named the vice president for institutional advancement, development, marketing and communications at Edward Waters College in Jacksonville, Florida. She was the former director of development in the Office of the Vice President for Student Affairs at Louisiana State University. Dr. Brown holds a bachelor’s degree in organizational communication from Kennesaw State University, a master of public administration degree from the Keller Graduate School of Management of DeVry University, and an educational doctorate from Nova Southeastern University. Felita Y. Singleton has been appointed as the associate dean of students for Warner Pacific University in Portland, Oregon. Formerly, she was the director of student veteran services for Portland State University. Singleton holds a bachelor’s degree in sociology and a master’s degree in educational psychology and counseling from the University of Wisconsin-Milwaukee.